If you really fancy going out and about why not try walking through the country with a purpose. 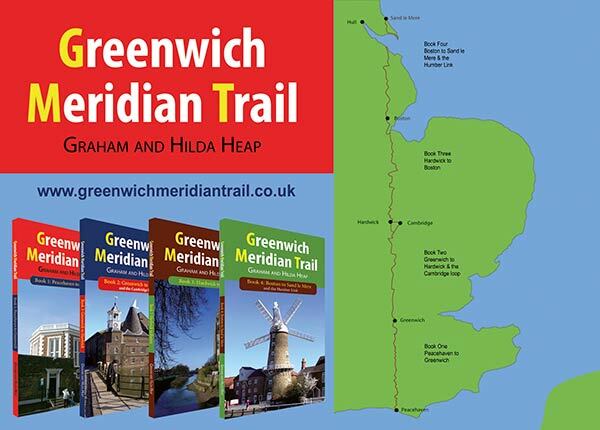 And seeing that the walking through Britain from Land’s End to John O’Groats might be a bit overambitious, not to say overdone, you could follow in the footsteps of Hilda and Graham Heap who trailed along the Prime Meridian and wrote a book about it. Well, four books to be precise. The guides use ordnance survey maps for easy route finding and are full of information about the places you might visit and stay at along the way. Good access by public transport makes it convenient to do the walks in sections. The Greenwich Meridian Trail (GMT Walk) is a long-distance walk along the line of the Prime Meridian. The four bespoke book covers were designed from photos taken on the journey by www.goodcoverdesign.co.uk. Book cover design prices can also be found there.